Starting on Wednesday, Ukraine will keep the office of the UN secretary general informed on the situation in the Autonomous Republic of Crimea, and also requests the UN conduct round-the-clock monitoring of the security situation on the peninsula, Head of the Security Service of Ukraine (SBU) Valentyn Nalyvaichenko has said. 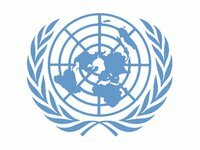 "Starting today, the SBU through the Foreign Ministry and our permanent mission to the UN will regularly inform the office of the UN secretary general and the state guarantors of territorial integrity and independence of Ukraine, primarily Russia and the United States, on the situation in the Autonomous Republic of Crimea," Nalyvaichenko said on Wednesday at a meeting with special envoy of the UN Secretary General Robert Serry, the SBU press service reported. He stressed that all member states of the UN Security Council (Russia, the US, the UK, France and China) are the guarantors of the territorial integrity of Ukraine. Nalyvaichenko requested that the UN should use all the possibilities for the round-the-clock monitoring of the security situation in Crimea. "The guarantees of the territorial integrity and inviolability of Ukraine are the basic factors for settling all the security issues in our country with the assistance of the United Nations," the SBU chief said.